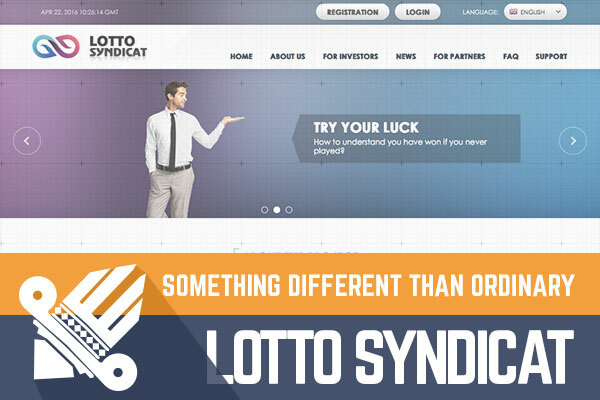 Lotto Syndicat with $400 investment on 13th of May was added to DavidNews.com Golden Stage listing. 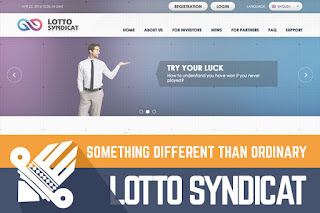 I think everyone will agree that Lotto Syndicat is a very engaging project because it is not typical HYIP that comes with Forex or cryptocurrency storyline. The project is completely fresh and starting from first days administrator have chosen to be among other the most influential projects of HYIP industry here on DavidNews.com. For now, I do not see that investors would invest quite aggressive in Lotto Syndicat, but in any case, I think that there is something into this project. Starting with a legend, attractive approach, translation into four languages till the five payment processors that Lotto Syndicat accepts. It is possible that investors at this stage do not want to invest in this project simply because first investment plan is 30 days long and at the end initial deposit will be returned. These days when HYIP market is very fragile 30th day can be like a breaking-point for such project, but it is way too early to talk about that since the project is online only around ten days. Talking about investment plans, there is one more thing that I need to inform - investment plans offers very low-interest rate. For first investment plan interest rate is just 1% daily what makes 30% return within one month. Such amount of interest is tiny and might be that day when the administration will need to return first initial deposits might be not that hard. Second investment plan gives pure 2.33% daily interest what is slightly higher, and investment plan does not return initial deposit at the end of the term that's why I have this feeling that second plan could help to cover initial deposit returns and at the same time increase the lifetime of this project. All other investment plans I do not recommend, and I will not cover in this review. Interesting that this project offers a quite generous referral program (up to 9% from deposit), and I think that advertisers will be quite interested in this project. Of course, as I said I do not see high activity around it and second reason might be because of the title since syndicat is similar to "syndicate" what does not mean something anything good in the real world. In conclusion, it is clear that if administrator will be able to attract new investors, this project could last long. On the other hand, as I said at this stage it is hard to forecast anything and because of that, we should be extra careful when we make an investment in Lotto Syndicat. Therefore – as usually if you decide to join, then spend only that you can afford to lose because all the HYIPs will close someday sooner or later. Investment plans: 1% for 30 calendar days, initial deposit returned at the end of the investment term. 3.33% for 45 calendar days, initial deposit included in the payments. Forget about other investment plans. I would like to suggest that you pick the best Forex broker.